3781 Depot Road is a 2.79 acre industrial site in Hayward, CA. 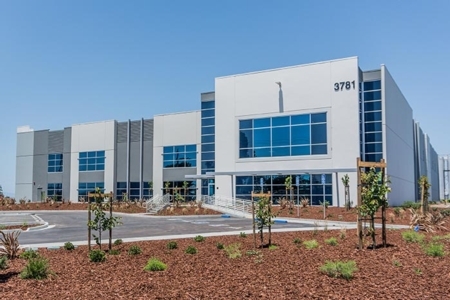 With nearby access to State Route 92 and I-880, the site provides immediate access to the East Bay, San Francisco Peninsula and Silicon Valley. The 50,230 square foot building features all the typical state-of-the-art features of new concrete tilt-up construction including 26' clear height; ESFR; 50' by 50' bay spacing; six dock-high loading doors; and 1,200 amps of service. EverWest acquired the 3781 Depot Road site on behalf of an institutional separate account with a Fortune 500 telecommunication company in October, 2016.